Informal networks of connection and control have always existed, but often only vaguely understood within tribal pecking orders, neat corporate hierarchies, and military chains of command. For networks to emerge as a new paradigm it needed a language of its own. A language that has been provided by the internet and social media. The question is do we need to change how we lead within this new worldview? In my opinion, the answer is yes. Effective collective action will always require some to lead and others to follow. Direction, however subtle, gentle or hidden is always necessary. Formal, positional leadership will remain important, but in a virtual, networked world leaders will increasingly be asked to lead without positional authority and without being able to constantly monitor their direct reports. Unlike conventional top-down leadership, leadership in a networked world is more about enabling than directing. It is more about influence than control; more indirect than direct; but still obliging leaders to create an environment based on both collaboration and individual autonomy. It is leadership understood first and foremost as a social process that creates direction, alignment and commitment without recourse to the traditional mantra of positional authority: “because I say so.” It is more a case of ‘power with’ as opposed to ‘power over’. In her recent book, The Chess-Board and The Web: Strategies of Connection in a Networked World, Anne-Marie Slaughter identifies five skills of a network leader: clarification, curation, connection, cultivation and catalysis. Clarify – Leadership begins with helping people make sense of their situation and the clarification of goals. Clarification starts when someone steps forward and makes suggestions about how to fix or achieve something. Clarification continues through continually refining what those goals mean in practice through facilitated discussion and working through disagreements. Curate – Curation is the careful selection of whom to connect to whom: people, institutions and resources. This is a specifically network skill and starts with understanding or mapping your community or organisation, recognising who has what and who needs what in terms of knowledge, skills and resources. Connect – Having identified the assets in your community or organisation, good connectors are synergy spotters, accomplished at connecting people to each other, cross fertilising and spreading knowledge and connections to help things grow toward a common purpose. It should not be confused with networking. This is about connecting people, skills, knowledge and resources for the benefit of those you connect, not for selfish ends. 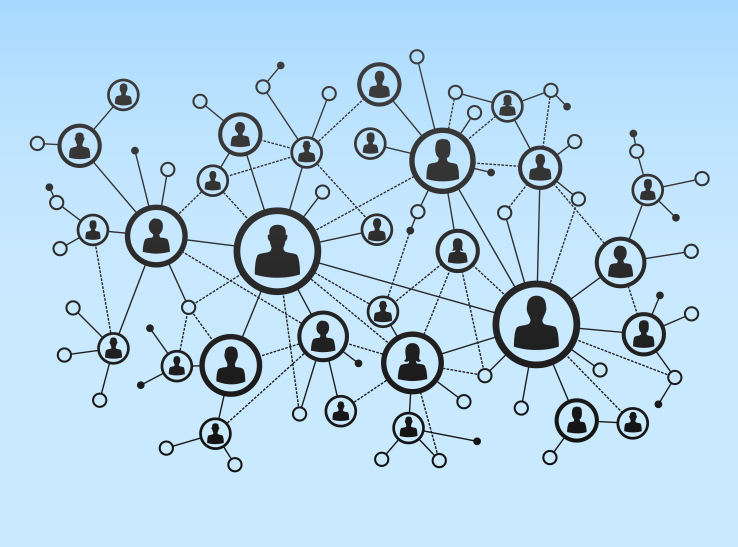 And once connected, a great connector continually checks in with the members of their network to keep connections alive. Cultivate – As Stanley McChrystal observed in Team of Teams, leading is like gardening: “Leadership is like gardening, because gardeners can’t do anything. They can’t make plants grow or flowers bloom, they can only create the conditions in which everything flourishes and achieves its best.” The network leader, therefore, focuses on trust building (deepening relationships through repeated interactions), delegation and empowerment, troubleshooting, conflict resolution, setting and enforcing boundaries, sharing knowledge, gathering resources, and holding stakeholders accountable. Catalyse – a leader must provide energy, not drain it. A leader is the spark, igniting sustaining and rekindling activity in a network. This often requires uncommon powers of persuasion, which can be enhanced by being open to persuasion yourself. Model effective dialogue and a capacity to change your mind, on the basis that to change others you must be prepared to change yourself. None of these skills are new. Napoleon recognised the importance of clarification when he spoke of defining reality and giving hope. But a new paradigm encourages us and ultimately requires us to look at the world in a different way. Like turning a kaleidoscope the pattern and the colours have been rearranged and we must adapt what we know to this new worldview, discarding what no longer fits, adjusting what still has relevance and, if need be, creating the rest as we go.